Ready to get your California Learners’ PERMIT? 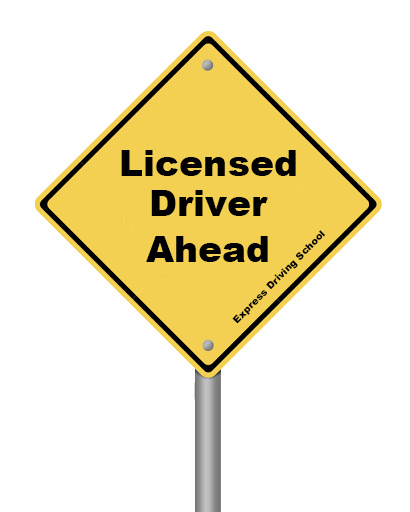 Driver education is one of the many requirements needed when applying for a provisional permit. Express Driving School proudly offers online driver education, which allows you to learn at your own pace in the comfort of your own home. You will have access to 30 hours of DMV approved lessons, videos, and quizzes. Not sure if you want to sign up? Try our demo lessons!! Once you have successfully completed the online course, we will mail your DMV Certificate of Completion directly to you. Now you are ready to complete STEP 1 of obtaining your learners’ permit! Make an appointment with the DMV to submit all documents and take the written test. Give your fingerprint, provide your signature (that will appear on the driver license), and have your picture taken. Pass a written traffic laws and sign test. There are 46 questions on the test. A passing score is at least 38 correct answers. You have three chances to pass the test. If you fail, you must wait 7 days before taking it again. Make a driving test appointment(s). (Driving tests are not given without an appointment.) 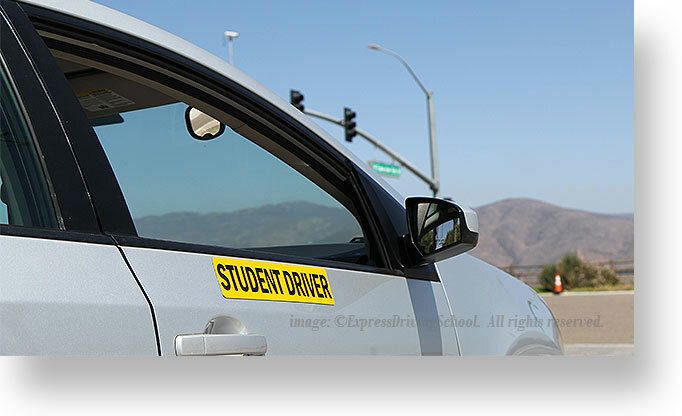 You may also call 1–800–777–0133 between the hours of 8 a.m. and 5 p.m. Monday–Friday, to make a driving test appointment. o Transport passengers under 20 years of age at any time, for the first twelve months. o Drive between 11pm and 5am for the first twelve months.